One of the first lessons we learned here at Time To Pet is that pet sitting and dog walking business can be very different. These different businesses also collect very different pieces of information. Instead of creating one set of fields and requiring our customers to adapt their business to their software - we made a commitment to customization. Each business can customize all of their fields to make sure they are collecting the information that is important to them. All of the information you collect about your human customers can be customized. If you’re business is in a big city and you need to know the name of the doorman - add it as a custom field. Live in a small town and need to know if your client has any outdoor pets? Not a problem! 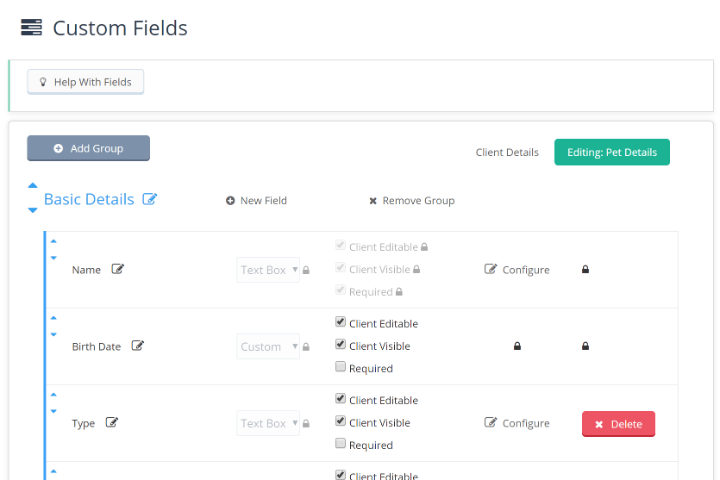 In addition to custom fields for your human clients - you can also customize all of the fields for the pets you take care of. Add fields like leash location or feeding instructions. 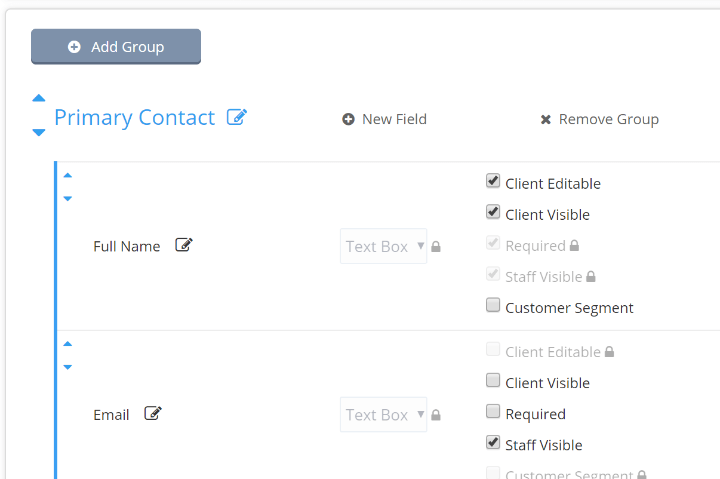 Whatever information you require to run your business can be added as a custom field! Not all information is created equal. There are some fields that are essential to providing pet sitting and dog walking services. The client’s address, access instructions, or an emergency contact are just a few. 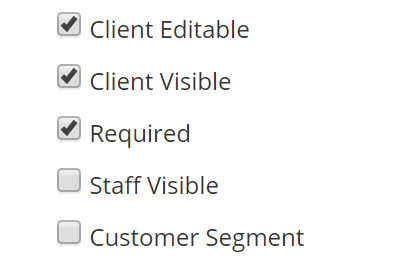 You can set your own required fields for both client and pet information when editing your custom fields. 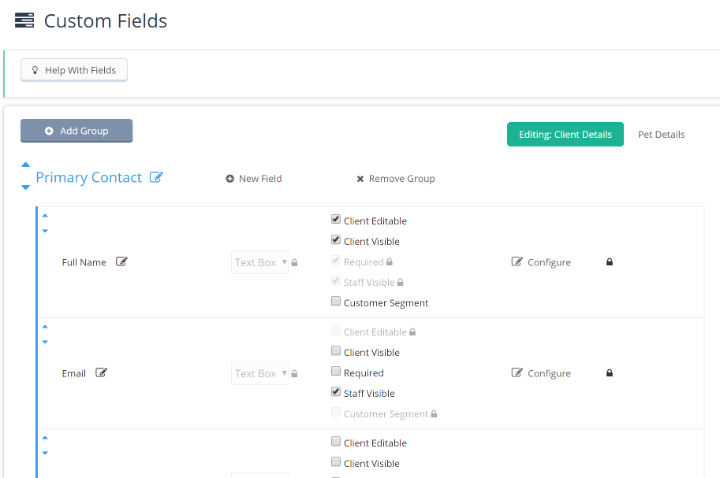 When adding lots of custom fields - it can be helpful to sort them into groups. Groups can be things like Emergency Contact Information which includes fields about the emergency contact, their phone number, their email or their location.